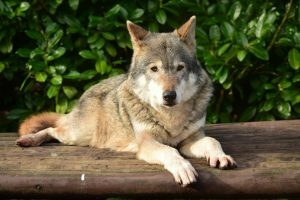 It is with a heavy heart that we announce the passing of one of our oldest and most beloved animals, ‘Misha’, the European Grey Wolf. 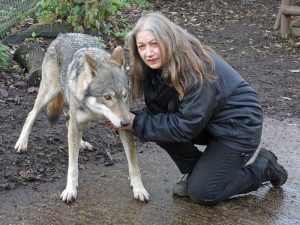 Over the past 17 years, Misha has been an amazing ambassador for her species, helping to generate thousands for wolf conservation around the world. She was what is regarded as a ‘socialised wolf’. This was due to being hand reared after coming to Paradise as a 10-day old pup due to the litter having to be rescued from a flooded den. Throughout her life at Paradise, Misha built up amazing relationships with a number of our keepers and volunteers, who devoted their time to ensuring she was able to live a great and happy life. We will all remember her for the beautiful and awesome wolf that she was. Her legacy will live on with the support Paradise Wildlife Park will continue to show for wildlife conservation the world over. We would like to say a special thank you to Mark Haumann, our vet for all of his support at this difficult time. Rest in Peace Misha, gone but never forgotten. We love you.